In Pasadena, we all know that it gets very hot during the year. Our goal is to keep you nice & cool throughout the year. Driving in Pasadena California and getting one’s car or truck windows tinted, is possibly the smartest thing a driver can do for himself and his passengers. The sun in Pasadena has no mercy. It’s always very hot and the car’s interior can easily reach 110 degrees any time of the year. At Mobile SGV Auto Glass, our auto window tinting service is designed to help block damaging UV rays, keep your vehicle from getting extremely too hot while living and working in the Pasadena and surrounding areas in California, and also helps keep your vehicle’s interior from fading. Our high quality window tint can also help make the glass safer if you are unlucky enough to experience glass breakage. Our tinting experts are well-versed in California tint law unlike some of the fly-by-night services you might find on the Internet or in the local newspaper. We can legally ting your back window and rear side windows as dark as you would like as long as there is a mirror on both sides of the automobile. The front passenger door windows and windshield are required to meet a 70% VLT reading after leaving the shop, so we go out of our way to show you how we make sure you meet the requirements of California law. Our expert staff makes use of their more than 10 years of experience to ensure you as much benefit as possible out of hiring us to tint your vehicles windows. Remember that the work we perform when tinting your car, comes with a lifetime free guarantee, and you will see immediate cooling benefits in your vehicle after visiting our mobile shop. Before starting work on your vehicle, our staff will partner with you to confirm the difference in pricing options based on what you want to accomplish with our premiere auto tinting service. 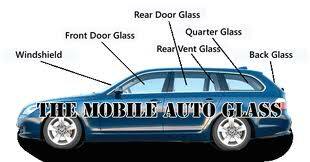 Give us a call today for a free auto glass Pasadena quote. We are available 7 days a week and can answer any questions that you may have.